A Rate Cut appears to be the only way Wall Street may put the brakes on a steep decline next week, is anticipated from the Fed, and Friday’s monthly jobs data may trigger a comeback for stocks after their January dump. Even after this week’s two-day rally, stocks finished on Friday in the red and remain down sharply for the year so far. The Federal Reserve’s meeting is expected to result in a reduction of 50 basis points in the fed funds rate, now down to 3.5pc.The central bank’s announcement will come only eight days after the Fed took emergency action on Tuesday and cut rates by 75 basis points. The move was surprising – not only for its size – but also because it came outside of a scheduled policy meeting. The Fed acted as stocks were falling almost worldwide and about an hour before the market opened on Tuesday after a three-day holiday. The Federal announcement is expected on Wednesday, at the conclusion of a two-day meeting. A blizzard of economic reports, including data that may show contraction in fourth-quarter gross domestic product, and quarterly earnings from several Dow components, as well as a major speech by the president, will compete with the Fed and the jobs data for investors’ attention. Investors on Wall Street and Main Street are likely to pay more attention than usual to the president’s remarks on his views of economy following this week’s decision on a tax-rebate plan. On Thursday, Bush and congressional leaders agreed on a $150 billion fiscal stimulus package that would include tax rebates for individuals and families. The plan awaits formal action by Congress. News of the tax-rebate plan helped stocks extend Wednesday’s rally, a day after the Fed’s emergency rate cut, into sharp gains on Thursday. 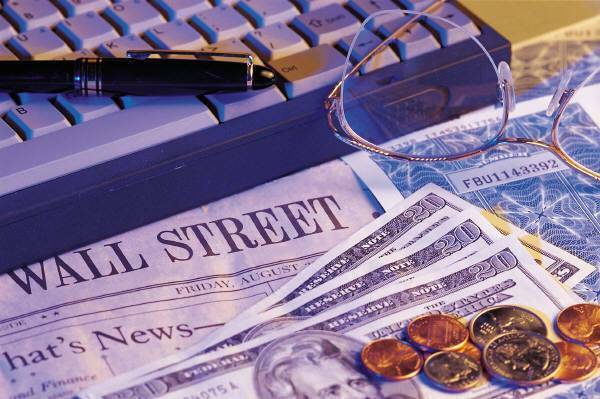 For the past week, the Dow Jones industrial average rose 0.9pc and the Standard & Poor’s 500 Index gained 0.4pc. The Najdaq Composite Index fell 0.6pc. While Wall Street will have a heavy load of economic numbers to consider next week, one that stands out is the report on non-farm payrolls, due on Friday. Next story Why Panic About The Dollar? I thought I’d have to read a book for a dcisvoery like this!